I had the blessing of receiving my baptism as an adult. Two years ago this Easter, I stood at the baptismal font and received the Spirit for the first time. Admittedly, I was (and no doubt still am) very new to the faith, and perhaps, intellectually, did not understand the sacrament in its fullness. What I did know however, was that in that sacrament the Spirit did indeed descend on me, and I was, in that moment, without blemish. I felt in my heart the voice of God saying something similar to what he told his Son. I felt that the Lord was pleased with me, I was indeed his child, and that he affirmed my beginning the walk of a life of faith by bringing great joy. Had I known this scripture when I received the Spirit, the joy would have been ten-fold. Had I known to celebrate my baptism as co-operation with Christ in that moment, I might have broken into song upon the altar. This is the joy that we should feel and celebrate upon reading these lines from Mark’s Gospel. Why? Because we are all, or we all can be, participants with Christ in this way. Christ showed favor to us through baptism, and affirmed baptism itself by his participation in it. Christ had no need for baptism. He became fully man, but he was also entirely perfect and free from sin. Yet he insisted on being baptized to express complete solidarity with us. Even the sandals that he wore were an act of solidarity for man: “Jesus’ sandals, made from the skins of dead animals, represent mankind dead in sin” (Ignatian Study Bible Mk 1: 7) Christ does these things, wear these sandals and “…receive[d] John’s baptism to identify with sinners as part of the Father’s plan to save them” (Ignatian/CCC 536). 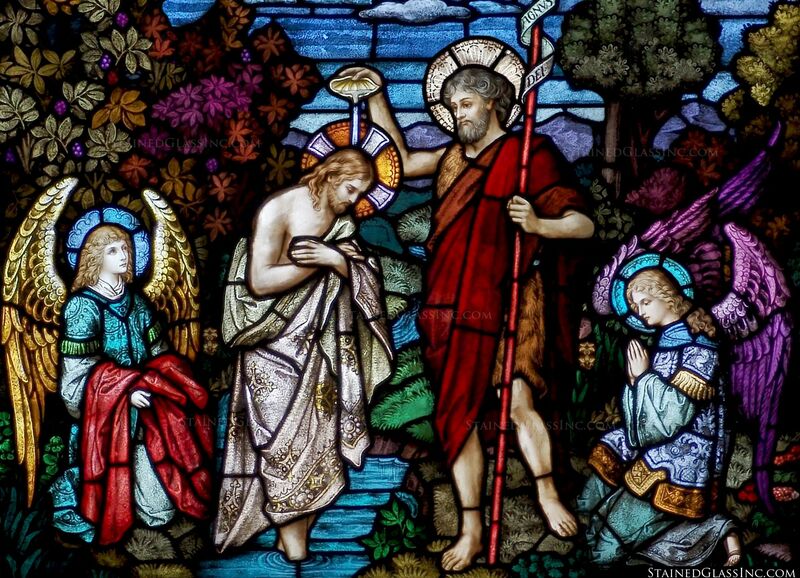 Keeping in mind Christ’s baptism is especially significant as we explore its meaning and purpose because “Jesus’ Baptism likewise inaugurates a new beginning for the world through the Spirit and prefigures our own cleansing through Baptism” (Ignatian). At the font, baptism gave me purity and life. At home, as I reflect on it, remember it and cherish it, it gives me hope and joy; it gives me the very same hope as the cross itself. “Holy Baptism is the basis of the whole Christian life, the gateway to life in the Spirit (vitae spiritualis ianua), and the door which gives access to the other sacraments. Through Baptism we are freed from sin and reborn as sons of God; we become members of Christ, are incorporated into the Church and made sharers in her mission” (CCC 1213). 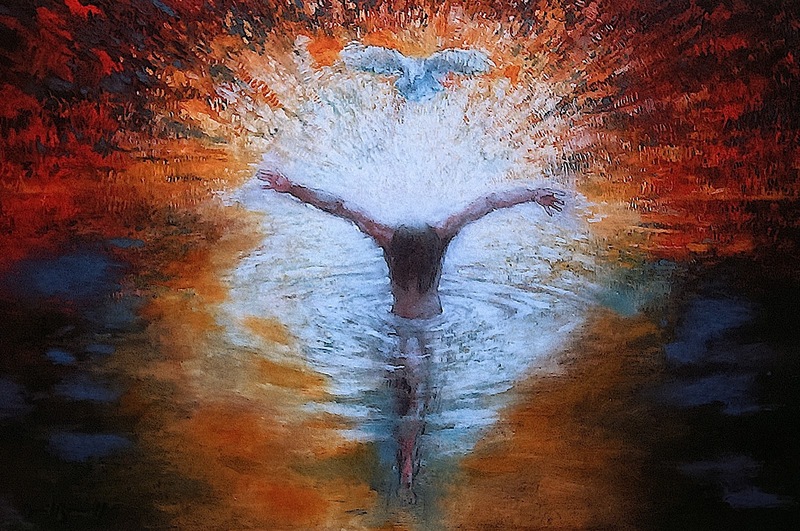 Baptism, which means to “plunge” or “submerge”, is our inundation in the Spirit. It is submission to the Spirit and will of God, by which we die to sin, and He gives us life anew. Something that I learned in life after baptism, as I sought to live the life of the good Christian and grow in union with God, is that baptism is more than something that we receive. It is a promise to be kept to the Lord. The promise to, despite our failures and our weakness, continue to thrive in the Spirit and pursue his grace and kingdom. When Christ received his own baptism, He made and fulfilled the perfect promise without fail even to the smallest degree. While this is not something that we can perfectly replicate, it is something we can prayerfully hope to imitate. As we commemorate and celebrate Christ’s baptism this weekend, let us recall the hope and joy that we receive from it and thank God. Thank Him for his mercy. Celebrate him by remembering your own promise to him. Since the day of your baptism you have been called to life in the Spirit. Live it! I would wager everything I have that you cannot and will not regret it. Logan Amster is a Vice President of Alighieri Press and serves as an author and speaker.